Online browsers have become very similar in the recent years, with very few things separating them. The big differences that still remain are in the area of updating, tracking, plug-ins and themes. Here we will compare two quality browsers, each coming with their own set of pros and cons. 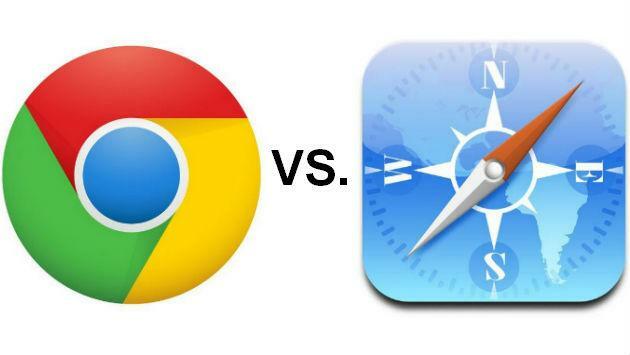 Google Chrome and Apple`s Safari are one of the most popular browsers you can use today. Both come with smooth interfaces, good pop-up blockers and option for private browsing. In both Chrome and Safari you will find wide range of safety configurations and customizable settings for privacy. This largely depends on what you seek for from a browser. Mac users love Safari because it is connected with Apple store and follows Apple technologies, but if you work in a company where most people use Google Apps for creating and editing documents, Gmail for email communication and where documents are stored on Google Drive then Google Chrome is better. Safari is being regularly updated by Apple and all of its patches and updates are well-researched before releasing. That guarantees reliable and strong performance. Bookmark syncing enable you to continue reading what you read on Mac where you have stopped on iOs mobile device. Safari configurations are very easily adjusted as well. The password management is better in Safari because of the Apple Keychain technology. On the other side, Chrome stores passwords within the browser, which is not the best option. Safari has an advantage over Chrome in energy efficiency. This is because with Safari you can choose not to use the plug-ins automatically. That saves power and extends the battery life of your computer. 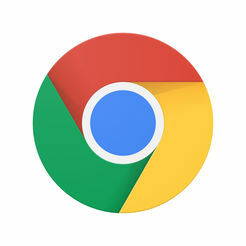 In this regard, Chrome uses more resources of the computer because plug-ins start automatically and that requires more energy. Regarding speed, both Chrome and Safari are speedy browsers that perform very fast. Some Mac users claim that Safari is a browser that opens quicker than Chrome, but Chrome`s opening times are really quick and frequent Chrome users claim that this browser is faster. At the end it all depends from the machine where browsers are installed. This is something that many people neglect to take into consideration, but different computer configurations have different loading time of browsers. Safari is a good option for companies that use Apple TVs in office environments. This is because Safari has an AirPlay playback of videos, which has proven to be very reliable in office environments. However, Google Chrome is also good in this matter with its tools and handy extensions for any environment. There are plenty of other things in which Chrome and Safari can be compared, but important thing is that both of these browsers are excellent for casual internet users. Which one works best depends from the technology you are using. Chrome is top option for Windows and Android users, while Safari is perfect for Mac and iPhone users. At the end, both Safari and Chrome will deliver what is needed so consider your individual needs and use the browser you prefer more. As the name suggests, pop-up blocker is a type of software that blocks pop-up windows from opening up on the website. 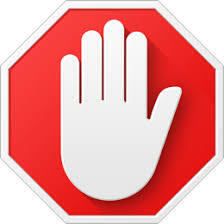 Some blockers immediately kill the pop-up window, while others work by disabling the commands that trigger pop-ups to appear on the website. Most software will allow you to turn the pop-up blocker on or turn it off. Pop-ups can be really annoying and they are mostly used by advertisers of different products and services that are unrelated to the content you are viewing on the website you visit. What makes them irritating is that they usually distract the website visitor and make their experience less enjoyable when they visit particular website. However, thanks to pop-up blockers now you can completely eliminate these pop-up ads without any problems. Most online browsers have effective software for that, so if you do not want to see them it is advisable you use some of the software for eliminating them. Although most pop-ups are irritating for the casual online user, some of them can be very helpful. Some pop-ups serve as guide about what you need to do when you are on certain web page. However, most pop-up blockers are blocking these pop-ups as well. Good thing is that there are some web browsers that can distinguish between good pop-ups on the websites and pop-up advertisements. Also most browsers and blockers inform their users when certain pop-up has been blocked, so you can still unblock it and see it, if you want. Website designers constantly search for creative ways to bypass pop-up blockers and show their ad to the website visitors. Dating websites are notorious for create popup blockers and example of those cane be found on sites like MeetnFuck and SelfieSwiper. However, pop-up blocking software is constantly perfected as well and today they are very efficient when it comes to blocking unwanted ads. The distracting nature of pop-ups is what makes them irritating and luckily there are less and less of these ads online. If you want to avoid them and not see pop-up windows, then it is advisable you use quality pop-up blockers. Whether you use built-in browser blockers or a third-party software it is up to you, but the main point is that all of them are pretty efficient in preventing pop-ups from appearing. What Is the Difference In HTTP And HTTPS? You have probably visited websites of online merchants before and noticed the word HTTPS in front of the website address. Then most people wonder what that is all about and whether their sensitive information is safe. You can rest assured that if you see HTTPS in front of website address – your information is perfectly safe. HTTPS websites have higher level of protection, so nobody can steal your credit card or other important personal information. The difference between HTTP and HTTPS becomes quite clear when we use their full name. HTTP stands for Hyper Text Transfer Protocol and HTTPS is Hyper Text Transfer Protocol SECURE. You can find an example of a website using HTTPS by going to KikGirls.com. When using HTTPS, addresses have a code that protect the website from unauthorized access and hacking, so your information is always kept private and secure. In the first years of Internet, network administrators used the HTTP procedure as a way of exchanging different information that was put online. When everybody learned how the information is exchanged, hacking became quite common and many websites were subject to it because they became vulnerable. Then the administrators started looking for other better solutions by which the information would be protected. The protection procedure relies on so-called SSL Certificate which is being used for encrypting the online data. Encryption is the process when recipient and sender of online information agree on specific ‘code’ that changes their sensitive information, documents and other important things into random, unspecified characters. This encryption procedure for masking, protecting and exchanging information is called Hyper Text Transfer Protocol Secure or HTTPS. What makes HTTPS protocol so powerful is that if anyone manages to hack the information that is being transferred between the sender and the recipient, they could not understand anything because all they would see is just a string of unrelated characters that will not make any sense. The only two parties that can see the proper and clear information would be the sender and the recipient. Of course, people can encode their information by themselves, but computers can encode them in much better and faster way. Computers do this by using the SSL Certificate which contains the randomized set of characters that serve as keys to mask the information. These SSL certificates have the public key of the owner of the computer, and the owner can share his public key with any person that needs that key. Internet users need the SSL certificate`s public key so they can encrypt the messages that are sent to the computer owner. Public keys are always shared, but the private key is never shared with anyone. A couple of other things to know is that security system in place when transferring information is called SSL, which stands for Secure Sockets Layer, and TLS, which is Transport Layer Security. The process of exchanging public online keys through SSL Certificate for enabling HTTPS is known as Public Key Infrastructure. Hopefully you will find this information useful when going online and visiting websites. 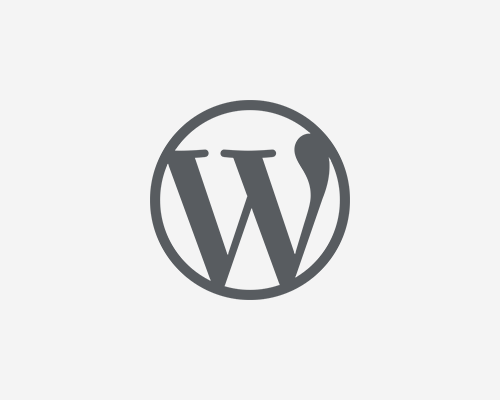 Is WordPress Safe From Hackers? WordPress has become one of the best ways for making a website. However, with increased popularity there is an increased risk, so many hackers are trying to attack these popular sites. Truth is that each year hundreds of WordPress websites get attacked and hacked by hackers. Every WordPress site is consisted of three important parts – core software, plug-ins and themes. However, the good news is that hackers are not damaging this sites because of the vulnerabilities in their software, plug-ins or themes, but because the sites are not updated regularly or because of weak passwords. So the short answer to the question whether WordPress is safe from hackers is yes, but you still need to do some work and educate yourself about how to protect the website. In order for the WordPress site to be secure, its core application must be updated regularly. Usually WordPress does this automatically, so you do not have to do anything in particular. Besides through regular updates of the core software, the plug-ins and themes must be kept up to date as well. However, they are not updated automatically, so you have to pay attention to that and do it yourself frequently. Third way for increasing safety of your WordPress site is through using a firewall. Sometimes vulnerabilities can happen in the website plug-in or theme, and usually WordPress sites are open to problems in the time between the discovery of the vulnerability and its fix. For successful protection during this time, you should have firewall that will be regularly maintained and updated. Remember that the more plug-ins, themes and web applications that are actively run on the WordPress site, the bigger the area where the hackers can attack the site. Therefore, a good thing to do to reduce chances for attacks is to remove those apps that you do not use frequently or that are not that necessary. That way your website will require less maintenance and your will not be a big target to hackers. Also remove those accounts which are not used, especially those accounts with administrator privileges. Make sure you are practicing proper security hygiene if you want your website to be safe. What this means is to always use strong passwords that cannot be easily hacked. The longer the password and the greater the combinations of characters – the better protection will be. Enabling two-factor identification is another good option for keeping the site safe, and also do not forget to do regular backups of your WordPress website. Keep the software core of your WordPress site up to date. Keep apps, plug-ins and themes regularly updated. Use strong firewall and maintain it regularly. Remove web apps, themes, plug-ins and user accounts that you are not using often. Maintain good security by using long and strong passwords, enable two-factor identification, and make sure your perform regular and reliable backups of your WordPress site. What is the Safest Browser? We all need and use web browsers for our daily internet surfing. They are probably the most important software in everyone`s computer. There are many popular browsers on the market as well as some less popular, but also helpful. Which browser you use largely depends on your personal needs. Using the right online browser can make a big difference when it comes to user experience, and most important things to consider when choosing a browser is whether you want better security, quickness or flexibility. The following is the list of safest and most popular browsers to use. Mozilla Firefox is at the top of the list of safest browsers you can use. It comes with plenty of features and options that make the browsing experience pleasurable, quick and very easy. There is wide range of customizable options to use, quality add-ons, parental controls, anti-virus, RSS feeds, there is tabbed browsing, incognito option, bookmakers and many other things. 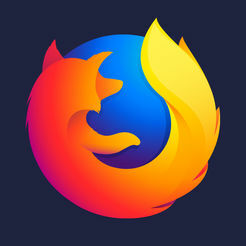 With Mozilla Firefox you have plenty of interactive guides and hundreds of protective add-ons that make browsing very safe. Google Chrome is right behind Mozilla Firefox when it comes to safety. It is stylish browser that enables fast experience and simple controls. Chrome has been on the market for over ten years now and it has proved to be extremely safe. There are many extensions created for safe browsing, so you are unlikely to experience any problems when you go online. With just one click you can also open new windows, tabs, add new options, and easily access good features. Pop-up blockers and anti-virus are also standard options of this browser so you can rest assured that your browsing is safe. Microsoft Internet Explorer is speedy and functional browser that is used by millions of people worldwide. The latest version of the browser comes with improved security options that enable safe browsing. A lot of good features like increased privacy protection, smart address bar, cross-site scripting filters and pop-up blockers are some of the several good options that come with this browser. Safari offers pleasant browsing experience, despite being one of the less popular browsers out there. This browser is created by Apple, which is known as company that puts great emphasis on customer satisfaction and safety. Safari is fast browser with which you can easily browse online as it provides fantastic protection from phishing websites, malware and other online threats. Other good features include private browsing, smooth design and web page previews. Opera finishes the list of safest browsers to use. It is one of the most reliable browsers you can find and it comes with some handy options that cannot be found in other browsers. There are plenty of built-in tools designed for user satisfaction and safety such as password manager, pop-up blocker and own integrated search engine. Bottom line is that Mozilla Firefox is probably the safest online browser at the moment, closely followed by Google Chrome.